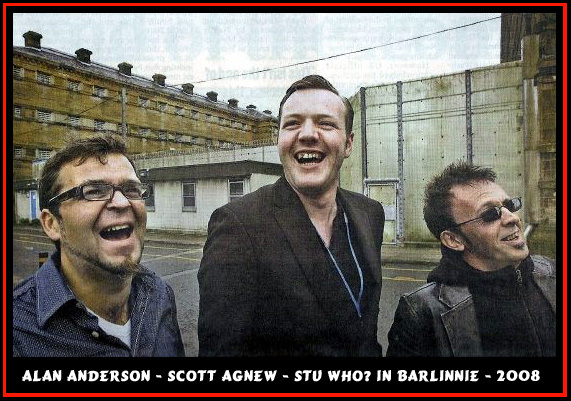 SCOTT AGNEW – STU WHO? Well … that was a fine weekend, of 39th wedding anniversary niceness, where the lovely Madame Who?, and myself, thoroughly enjoyed a fiesta of fun, food, film, and fauna. Gus Van Sant’s biog feature Sean Penn’s as Harvey Milk, and it was all very politically worthy, but left Maggi & I somehow uninvolved with the major characters, in a strange way. To me, the movie showed the issue of Gay Rights in an isolated US context, within what was a tumultuous period of not only US history, but throughout the period of international, social & political upheaval that went through all levels of Alternative society, whether it be black, gay, hippy, biker, or whatever. A bit, “up-their-own-arses” as we’d say colloquially, here in Glasgow … how apposite! !